The city of Água Clara, in Mato Grosso do Sul, is to become an important international hub for production of medium-density reconstituted wood veneer (MDF). The reason is the great commitment of the Asperbras Group, which inaugurates its new venture: GreenPlac. 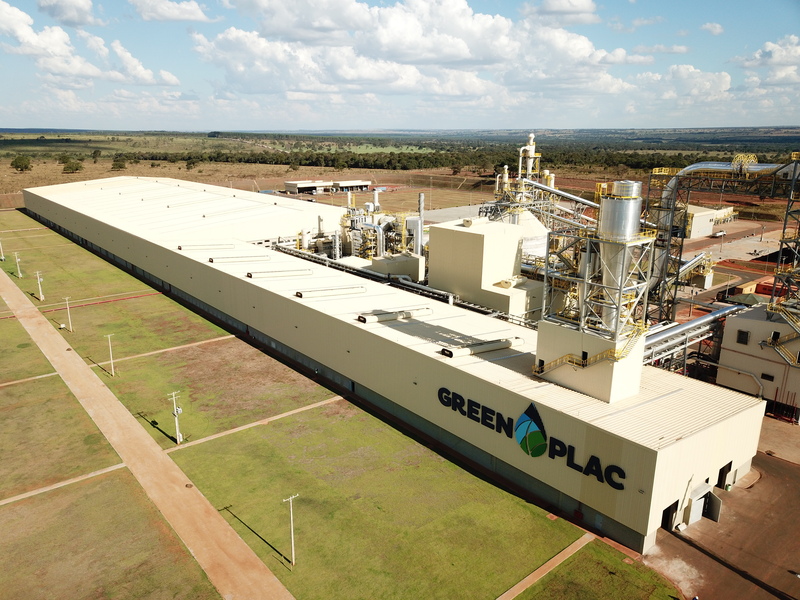 The investments in the plant are of around R$600 million, the Group’s largest investment made in Brazil in its 52 years of operation. It will initially process 250,000 cubic meters per year. In the future, a second production line should increase its production capacity to approximately 650,000 cubic meters per year. The equipment and machinery for the production of the board originate from Germany and are made by Siempelkamp, ​​a worldwide renowned manufacturer in the segment. The amount of investments made in the production plant includes another R$75 million to the planting of eucalyptus forests. A total of 12 million hectares of forests are already planted, under the strict management and origin control. GreenPlac, located in an area of ​​510,000 square meters, is in the process of receiving a certification by the FSC – Forest Stewardship Council (an independent, non-governmental, non-profit organization established to promote responsible forest management around the world). As from July, while the company does not use its own production – whose first cut is expected to take place up to seven years after planting – the company will be processing raw material acquired in the slot market (eucalyptus acquired from third parties). Since its inception, GreenPlac has been committed to sustainability. 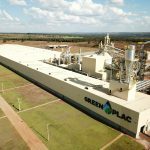 All the energy required for the operation will be produced by the Guarapuava Biomass Plant, another enterprise of the Asperbras Group in the state of Paraná, Brazil. The 10 MW of energy produced from tailings from the region’s furniture factories, branches, roots, thin logs and treetops will be used as fuelwood to power the plant’s boilers. 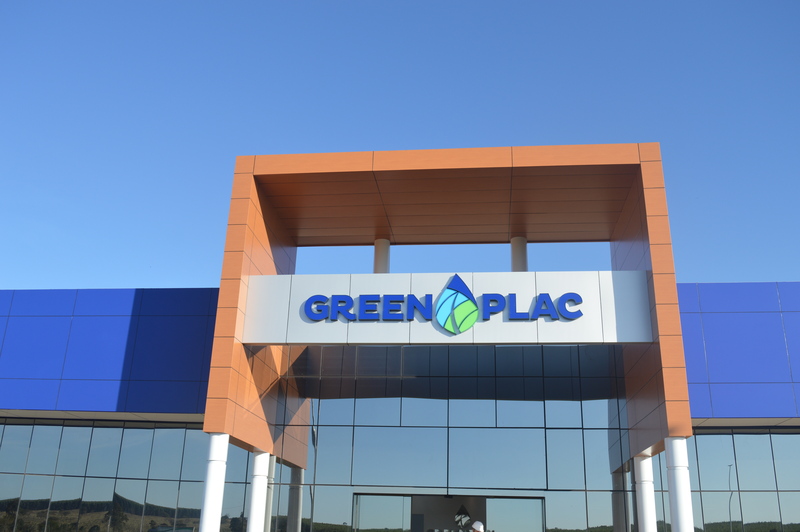 With initial production predominantly targeted at the domestic market, GreenPlac has been founded as a major player and brings news especially for the furniture market, one of the main consumers of MDF boards. The international market will be the focus when the company enters its second phase. With four innovative product lines, Moderno, Essenziale, Natural and Toccare, they have contemporary textures and patterns, catering to the most varied tastes. The Essenziale line was acknowledged even before its debut in the market, with a prize received at the INTERZUM Show, held in Cologne, Germany, in March 2017. A venture the magnitude of GreenPlac significantly modifies the entire economy of a region. This is what is happening with the city of Água Clara and its surroundings. The city, with 15,000 inhabitants, will now live with about 40 daily trellises of eucalyptus poles entering and leaving the plant and moving the entire production chain. Restaurants, hotels and stores were created to meet the demand generated by the movement of people. Additionally, the company is generating 290 direct jobs and roughly 400 indirect ones. More than hiring the local workforce, the Asperbras Group, through GreenPlac, has invested heavily in the training of its professionals. Preparatory courses were given in partnership with Senai de Três Lagoas and the Municipality of Água Clara with the aim of training new and future employees in disciplines such as automation, instrumentation, basic mechanical maintenance, and forklift and machine operation. 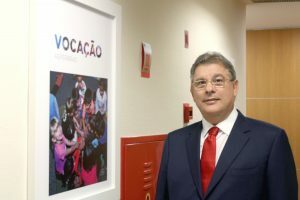 “When we invest in training and improving the local economy, we are dedicating permanent assets to people and the city,” said José Roberto Colnaghi, President of the Board of Directors of the Asperbras Group. The Group, founded by brothers Francisco and José Roberto Colnaghi, began its story with the talent and perseverance of their father Francisco Colnaghi, who, in 1966, by founding a farm implements company in Penápolis, a city in the interior of São Paulo, began the development of a business group based on commitment to quality, full-time dedication, and responsibility in providing services. Less than twenty years later, the company was already acknowledged across Brazil with the strategy of investing in the manufacture of pipes and PVC connections for agricultural irrigation. Since then, Asperbras has become one of the most important business groups in Brazil. Currently, Asperbras is acknowledged not only for its pipes, PVC fittings and rotational molding industries, but also for acting in the fields of industrial engineering, management and assembly of industrial projects in several segments, in construction and real estate development, as well as the sectors of food, agribusiness, mining, and power generation. The Asperbras Group maintains its autonomous and independent domestic and international corporate structures, operating in almost all of Brazil and in three continents (Africa, Europe, and South America). More than five thousand professionals work in programs, projects and works in the main segments of the world economy. Asperbras has two industrial plants, one in Bahia and one in Rio Grande do Norte. In the states of São Paulo, Mato Grosso and Mato Grosso do Sul, it operates in the Agribusiness segment. Since its foundation, Asperbras has exercised one of its most important vocations, which is to care for people. This has been the case for decades through high-quality programs such as the Nelly Jorge Colnaghi Foundation, aimed at the social and educational development of children. Currently, 240 children from four months to five years of age are served, on a full-time basis, with food, literacy classes, ballet, English, and judo. Not only the students, but also the whole family has access to dental care, physical therapy, social assistance, and psychological assistance. The Asperbras Group also supports the Cancer Hospital of Barretos, which is an international benchmark in the treatment of the disease, with the acquisition of new and modern equipment, medicines and partnerships in holding events that help maintain this important medical center. The current businesses of the Asperbras Group are: GreenPlac – Asperbras Energia – Bonolat – Asperbras Tubos e Conexões – Asperbras Rotomoldagem – Real Estate Developments – Concessionária VW Angola – Agribusiness – Empreendimentos sem Fronteiras – School Mobility Program in Angola – Industrial and Construction Technology.